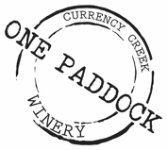 Welcome to One Paddock Currency Creek Winery, where you can relax, enjoy and unwind on the beautiful Fleurieu Peninsula. So close to Adelaide yet so unique for your wedding experience. Whether you are visiting us for an event, conference or lazy afternoon of wine and food, the One Paddock team promises you a unique and memorable experience. If you are lucky enough to be spending a few nights in one of our villas, be sure to chat to our friendly staff who will happily fill you in on everything our beautiful region has to offer.